The Sense toilet roll holder by Koziol presents pure harmony of form and function: the stylized leaf on the front is simply pulled off the axis when changing the toilet paper roll. It belongs to the same name bathroom collection by Annette Lang. The large diameter of the base at the wall guarantees that each individual sheet on the roll remains in a good condition. 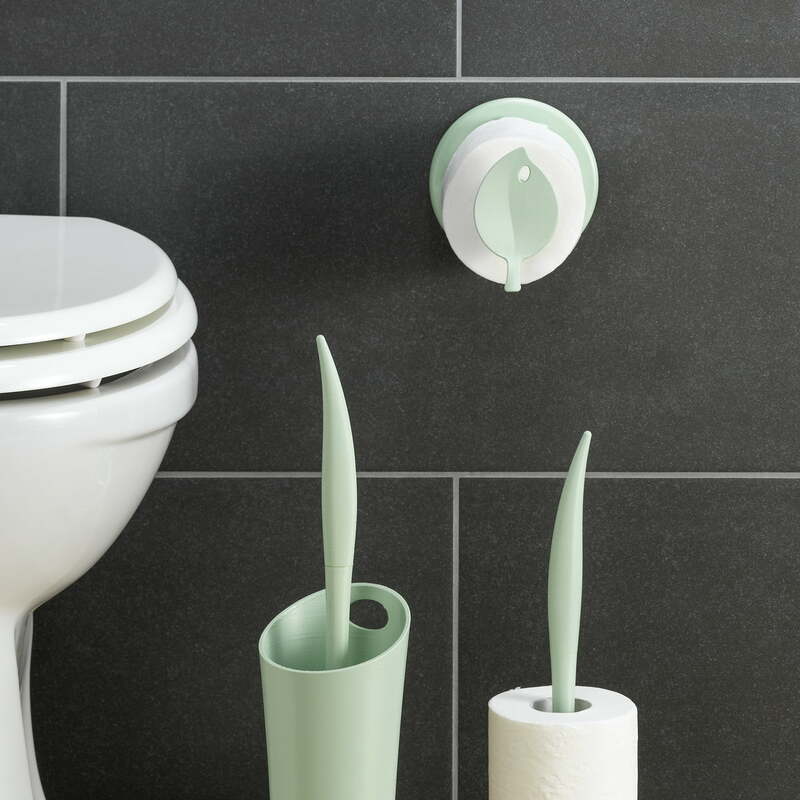 Even better news is that the Sense toilet roll holder allows to be attached to the wall without the need to drill holes in the tiles, it simply stays in place with its hidden suction cup. And it is especially gentle to the environment with regards to the material: it is made of plastic, which is obtained from 100% renewable vegetable raw materials. The Sense toilet paper holder by Koziol is available in various subtle colours. 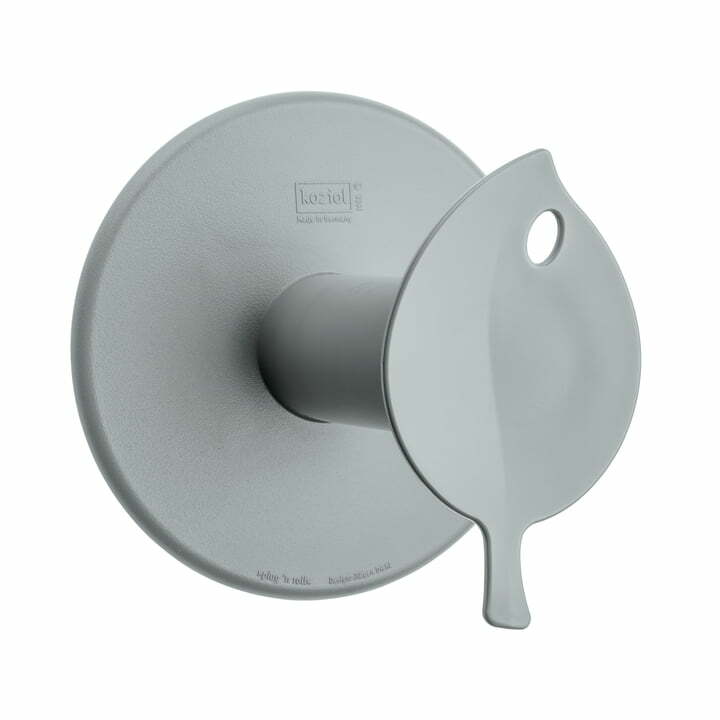 Product image of the Sense toilet roll holder by Koziol in grey. the stylized leaf on the front is simply pulled off the axis when changing the toilet paper roll. Product image of the Sense toilet roll holder by Koziol in solid mint. The large diameter of the base at the wall guarantees that each individual sheet on the roll remains in a good condition. The Sense toilet roll holder, the sense toilet brush and the Sense spare roll holder in solid Mint are made from plastic, which is obtained from 100% renewable vegetable raw materials.